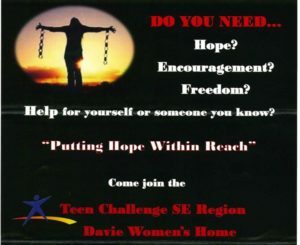 Sunday, April 14th – Special Service with the group from Teen Challenge. They will share inspiring stories, realistic dramas, and heartfelt music. They will bring a message of Hope and Healing, and that’s exactly what Bethel Church is all about.